What is your way to add more beauty? 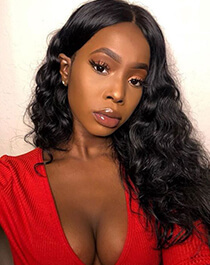 Obsolutely you will say it is wearing gorgeous natural hair weave. And virgin Brazilian hair maybe a better choice for you. 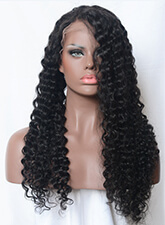 Now there is one important thing is taking care of your virgin human hair bundles to expending its life span. As we all know, the better care your human hair, the longer they will last. So please care them just as your own hair. Today, DSoar Hair gives you some tips to take the best care of your Brazilian human hair. 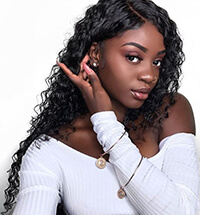 In order to ensure your hair is free tangle, it is necessary to use a large, wide-tooth comb to comb your hair, begin comb from the bottom of the hair, middle part to the head, step by step gently. For Brazilian curly hair, we even suggest you use your firngers to combe your hair instead of a comb. Like our own hair, virgin human hair needs to be washed frequently. Usually, we suggest the hair can be washed and conditioned at least once a week. Use good quality shampoo and conditioning products. Wash the hair in one direction, form the top to bottom. It is very important to hydrate your hair to give them enough nutrients and moisture, so that make your natural hair weave look healthy. When you finish the procedure of washing and condationing, it is necessary to dry your virgin Brazilian hair with a correct way. To avoid to frizz, please never rub your hair with a towel, instead, it is better to pat the hair to dry. It will be the best to let your hair air dry instead of blow dry. If you persist in using your dry blower on your hair, please ensure the blow heat is the lowest to reduce the damage for the hair. There are hair care tips above to help you parotect your virgin Brazilian hair. 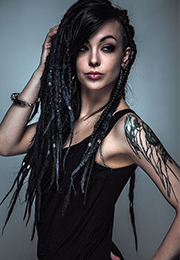 We also hope these tips can answer some of your questions about your hair extensions. Take your best care of Brazilian hair, it will be last one year or longer time!